The penultimate weekend of Premiership rugby offered some of the leagues most exciting games this season. The 21st round of the competition confirmed the leagues top four and left only Newcastle and Wasps with something to fight for when they meet this coming Saturday. The rugby betting guide will have all the information you'll need to keep on top these games as the Premiership nears its' conclusion. Friday night saw Newcastle Falcons visit Leicester Tigers with the intention of preventing their closest rivals from leapfrogging them in the table. In what was a hotly contested match, Leicester looked like they had won the game, that was until Falcons, who for a second straight Premiership match, drove over the line for an Ally Hogg try that needed a conversion to win it. Sonatane Takulua calmly added the two points that Falcons needed to win the game 23 -25, ending a 20 year wait for a win at Welford Road. This moment will live with @FalconsRugby fans for years to come ?????? Saturday saw the West Country derby take place at Kingsholm, Gloucester. In front of a packed-out home stadium, Gloucester fell to Bath whose high-tempo performance will leave fans of the club wondering why those performances haven’t been the norm this season. 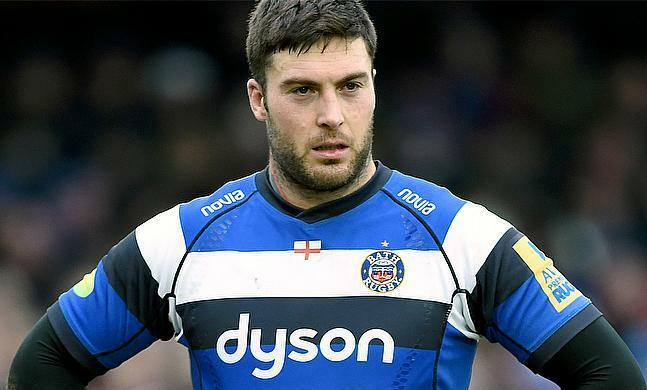 Matt Banahan was mightily impressive against the club that he will be moving to at the end of the season while Tom Homer scored one of the tries of the season as Bath won 43-20. Sale Sharks were impressive away at Sandy Park, despite eventually losing 34-19 to their hosts, the Exeter Chiefs. Byron McGuigan impressed with his superb try scoring ability, however Chiefs were the stand-out stars as the likes of Nic White and Lachie Turner influenced the game with their attacking prowess. The result secured Chiefs’ number one spot in the league table, a first for the side from Devon. Donnacha O’Callaghan bowed out of professional rugby after 20 years by leading Worcester to safety after they beat Harlequins 44-13 to relegate London Irish. Harlequins have capitulated in recent weeks and are definitely waiting for the end of the season. John Kingston’s men looked lacklustre in every department. Worcester were constantly in the faces of Harlequins, forcing mistakes that led to good field position for Worcester to build on. The fixture left the two clubs on the same amount of points as the final round of fixtures draws near. Sunday saw an already relegated London Irish face Saracens at the Madejski Stadium. Sarries really were in a league of their own. The North Londoners dominated the Exiles in every facet of the game. Blair Cowan swapped sides for this contest, likely a confusing situation for both sets of players. Owen Farrell dictated play extremely well from fly-half, in what can only be described as a routine 51-14 victory for Sarries. The final match of the weekend saw Northampton meet Wasps at the Ricoh Arena. Saints came still raw from the announcement of Rob Horne’s retirement due to nerve damage. However, Saints were easily manipulated by the Wasps players, leaving plenty of space for Wasps’ backs to score simple tries. Ending 36-29 to Wasps, there were some promising signs from Saints as the end of the season draws ever closer. These results leave two competitions left in the league. Wasps and Newcastle are battling for third for a more favourable play-off fixture. Also, Gloucester and Sale are both still able to get Champions Cup rugby for next season.